The next step in the process is to do this again in the next General Assembly of the Iowa legislature. If we can pass it there, it goes to a vote of the people on a statewide ballot. We won’t make any bones about it, this is not an easy task. 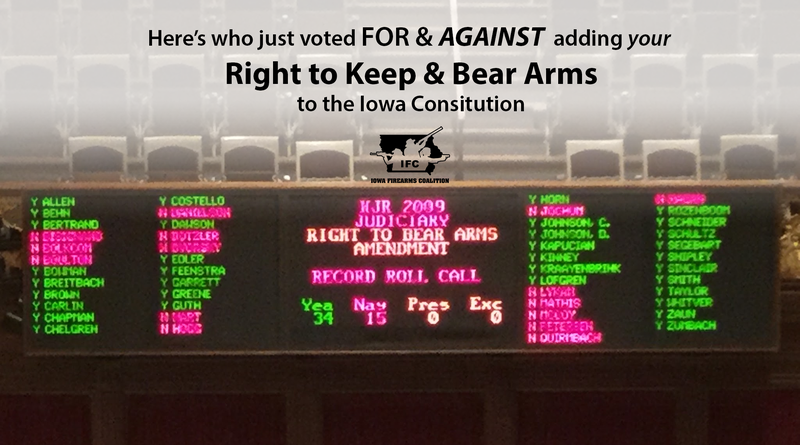 BUT, we think the Right to Keep and Bear Arms of the People of Iowa is worth the effort. Don’t you agree? 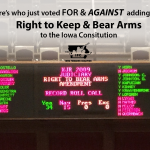 In the meantime, here’s the list of who in the Iowa Senate thinks the State of Iowa should recognize the People of Iowa’s Right to Keep and Bear Arms. 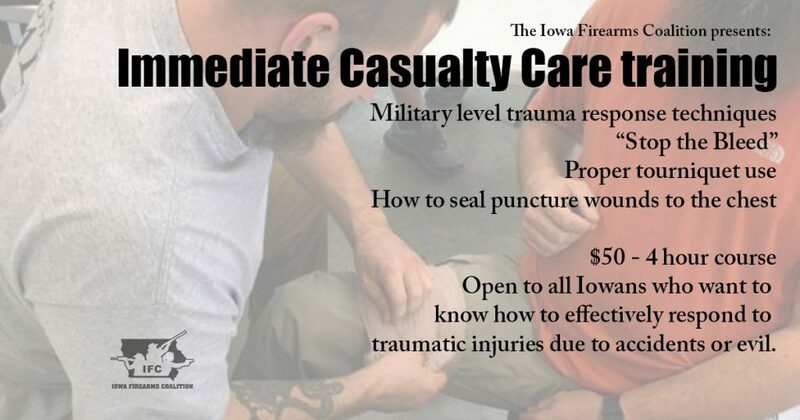 If you appreciate this information and work that IFC is doing on your part, please become a member! 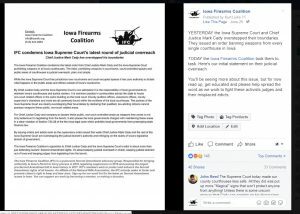 The Iowa Firearms Coalition (IFC) applauds the Woodbury County Board of Supervisors’ vote to seek relief from the overreaching order from Supreme Court Chief Justice Cady that prohibits weapons in state courthouses. A request to the courts will benefit the people of Woodbury County and will bring the county government into compliance with state law. 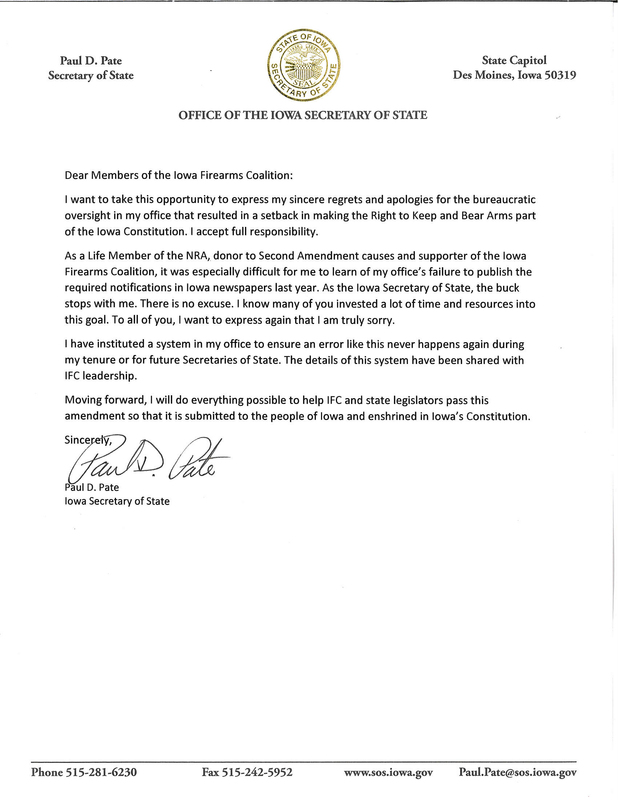 IFC lead the charge in 2017 to give private citizens the right sue local governments that violate Iowa’s firearms preemption law, section 724.28 of Iowa’s legal code. 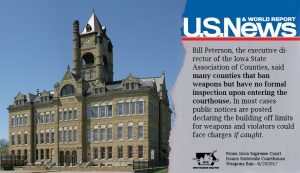 The Chief Justice Cady and the Iowa Supreme Court’s recent edict placed county managed courthouses statewide in violation of this code and in the process made these county governments subject to lawsuit by private citizens. 724.28 Prohibition of regulation by political subdivisions. A political subdivision of the state shall not enact an ordinance regulating the ownership, possession, legal transfer, lawful transportation, registration, or licensing of firearms when the ownership, possession, transfer, or transportation is otherwise lawful under the laws of this state. An ordinance regulating firearms in violation of this section existing on or after April 5, 1990, is void. 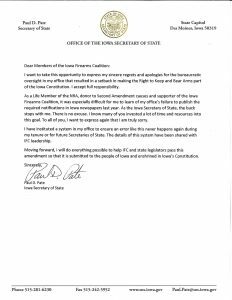 IFC commends the Woodbury County Board of Supervisors for acting in the best interest of their constituents and recognizing their rights under Iowa law and the United States Bill of Rights. The process required of Woodbury County and others is an unnecessary burden for local governments seeking to correct the wrongful mandate set by Chief Justice Cady. 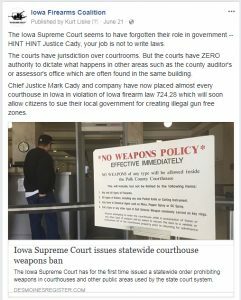 Now that the 2018 legislative session is underway the Iowa Firearms Coalition will be aggressively pursuing legislative means to remind the Iowa Supreme Court and Chief Justice Mark Cady that they have zero constitutional authority to enact a firearms ban in non-court areas. to speak at the Firearms & Freedom Event on Sept. 16th! Governor Kim Reynolds and Lt. Governor Adam Gregg have both been added to the list of speakers participating in our upcoming “Firearms and Freedom” event. 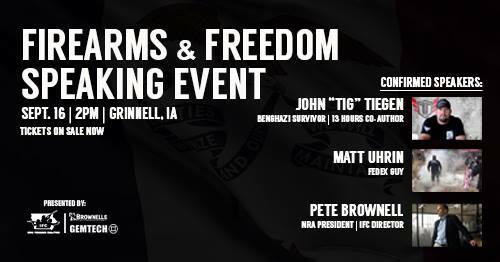 Reynolds and Gregg will be joining keynote speaker John “Tig” Tiegen (Benghazi survivor and 13 Hours co-author) as well as National Rifle Association President Pete Brownell and “The FedEx Guy” Matt Uhrin the afternoon of September 16th at Brownell’s in Grinnell. General admission and VIP tickets are available. VIP ticket holders will have access to a special pre-event “meet and greet” with Tig, Pete Brownell, Matt Uhrin and IFC leadership. A limited number of tickets are available and online ticket purchases are encouraged. Special discount available for active IFC members! We’ve got our hands on the nearly unattainable LMT LM8MRP. This ultra high-end AR sells for more than more than $2,000 but good luck finding one, they’re sold out literally everywhere. 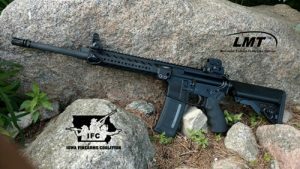 We’re raffling off this LMT to raise funds for the upcoming legislative session. Tickets are $10 each -OR- 3 for $25. We’re cutting off sales September 9th with a winner drawn on the 16th. 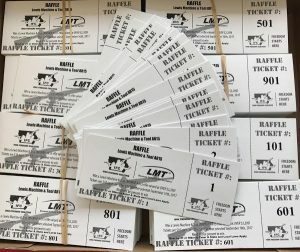 State law PROHIBITS us from selling raffle tickets online or by mail, which means all raffle transactions must be face to face. 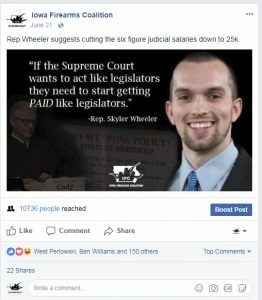 Fortunately a handful of great pro-2A businesses have stepped up and are selling the tickets in their shops around the state. Stop by any of these shops to purchase your tickets! If you’ve got a business that would be willing to sell tickets let us know. The more the merrier! You’ve seen the movie 13 Hours: The Secret Soldiers of Benghazi now you’ve got a chance to hear the story directly from one of the few men who fought his way through the attack in Benghazi, John Tiegen (aka Tig). We’ll also have Matt Uhrin of Cedar Rapids on hand to relay the story of how he grabbed national headlines and came to be known as “The FedEx Guy” after breaking up a flag burning ceremony in Iowa City. 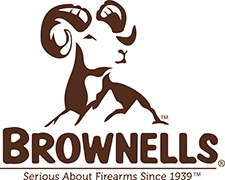 You’ll also get to hear from IFC Board member, NRA President and Brownell’s CEO Pete Brownell. VIP and General Admission tickets available. VIP tickets provide access to a special pre-event meet and greet with the speakers and IFC leadership.